Home Exchange…a great way to see the world for less! 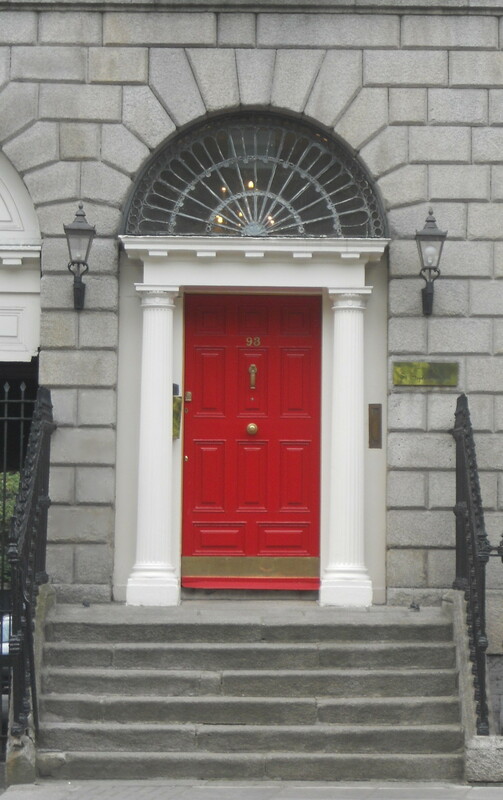 I LOVE red doors….not our exchange home, just a great Dublin door. Our kids had gone off to college and it was time to go on some adventures. I’ve always wanted to sign up on one of those websites to do a home exchange with another family…and my then husband agreed. I signed up on homeexchange.com and waited for people to start emailing me. 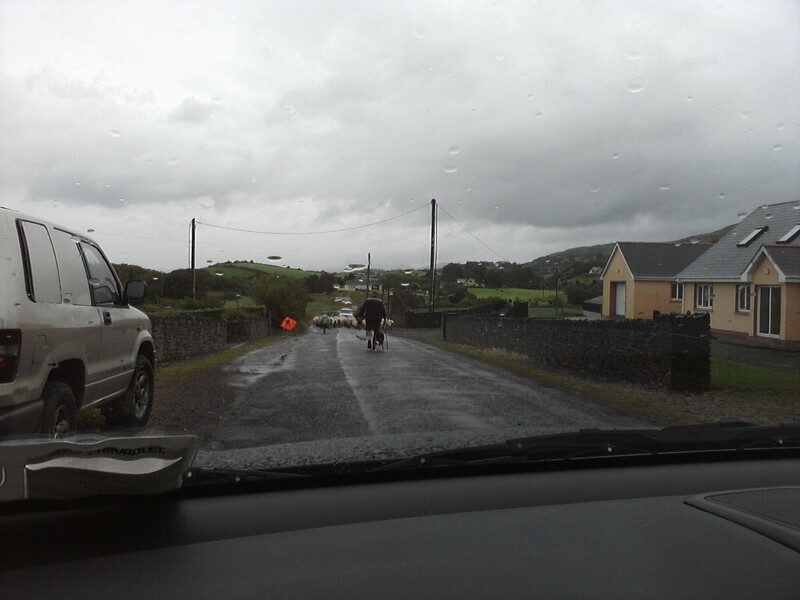 We were looking to go to Ireland…or other European countries. We had a few interesting prospects, but most Europeans wanted to come in August and stay for three weeks. Three weeks was a long time to be away and who wants to go to Europe in August when it’s hot and all the locals are gone…probably doing home exchanges somewhere else! So…I got an email from a gal in Ireland asking for two weeks in our home at the end of July and then they’d go off for an additional week, exploring California and the Grand Canyon. We emailed back and forth, skyped once or twice and decided it was a good fit. Flights were booked and we anticipated our trip to Ireland, my ancestral home. On a whim I decided to try to get dual residency, since three of my four grandparents were born in Ireland. The journey to get the all the paperwork was interesting, time consuming and fun, but I could never uncover my grandparent’s marriage license, I got the wrong birth certificate for my grandfather, and ultimately gave up the fight. “Why dual residency,” I was asked many times. Well, really it just would have been fun to say I was a citizen of two countries…and I would have had the choice at customs whenever in Europe (Ireland is part of the European Union or EU) whether I’m a “citizen” or “non-citizen”….and then choose the shortest line! It was fun while it lasted. …but I digress. 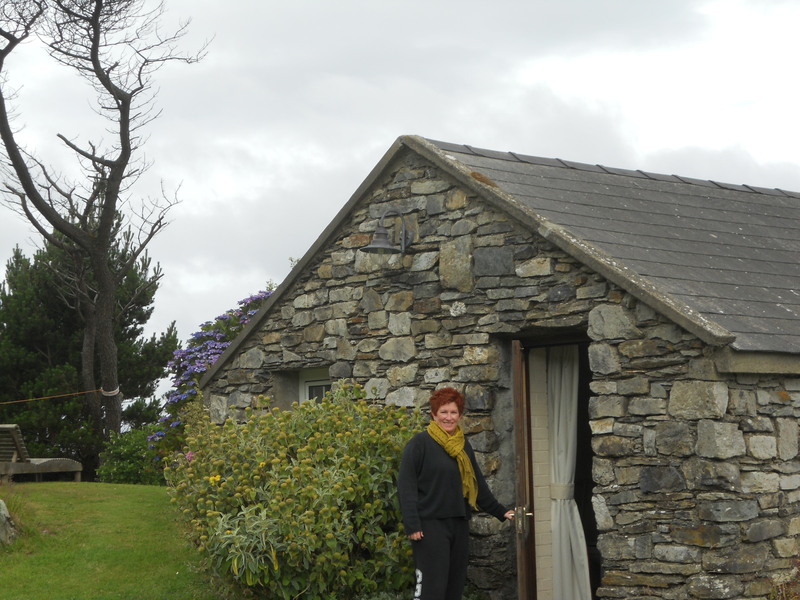 We arrived in Ireland & drove to what would be our home for two weeks. We had already arranged to also exchange cars, so we had an easy way to get around too. I think the number one question I’ve been asked about doing a home exchange is, “What do you do with all your stuff?” and “Isn’t it weird having people in your home?” The answer is simple…”You’re in their home!” So, there’s an assumption that they will take good care of everything and you, in turn, will do the same with their home. Sure, you clear out some closet space and put some valuables away, if need be, but that’s about it. The idea is that you talk & correspond enough beforehand that you feel comfortable with whomever will be in your home. I put together a book of things to do, simple maps to get to the grocery store/restaurants, how to turn on the TV, how to use the appliances, etc… and Gina (my counterpart in Ireland) did the same for us. We were invited over to their neighbor’s homes for dinner and my neighborhood had a “meet the Irish” party on someone’s front lawn. You get to live like a local, have a full kitchen & home at your disposal and your lodging doesn’t cost anything. I think Gina and her family will be lifelong friends…I’ve already returned to Ireland, with my friend Marsha, a couple of years ago and stayed with them…and we play Wordfeud so we chat every now & then and catch up via email (isn’t technology awesome!). It’s nice to know you have friends in far off lands, especially Ireland. I’ve also done an exchange in San Francisco for a weekend and am looking forward to putting my home back up for exchange when I return to the ‘hood next July. Oh, the places I’ll go!! Take the leap…I think you’ll be glad you did! Feel free to email me if you have any questions. 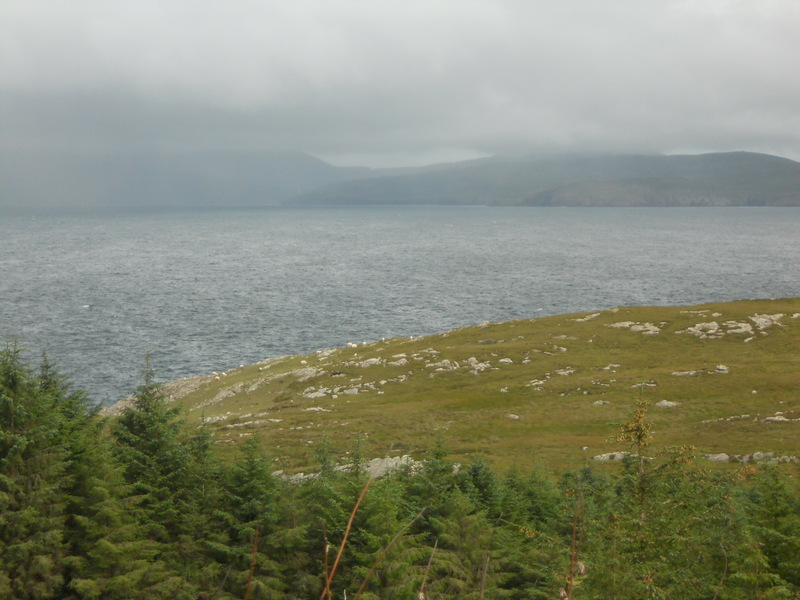 Oh..and there will be a travel post, with more pictures, dedicated to Ireland. If you have citizenship in Ireland, you can also buy property! I’ll bet you could find the documents on Ancester.com now; they’ve come a long way. Sláinte chuig na fir, agus go mairfidh na mná go deo! And just to prove Jeanine right! Having lived in Jeanine’s home, all her love & warmth was palpable -in the photos & prints on every wall, in every cushion, in the friendly comfortable layout, in the cute sayings ….so even though we only met them briefly, we felt we knew them – an utterly happy, committed couple living at the top of the tree. So, you just can’t imagine our shock for Jeanine when her marriage ended seemingly overnight in such a sneaky, mean, mean, mean (have I mentioned mean?) 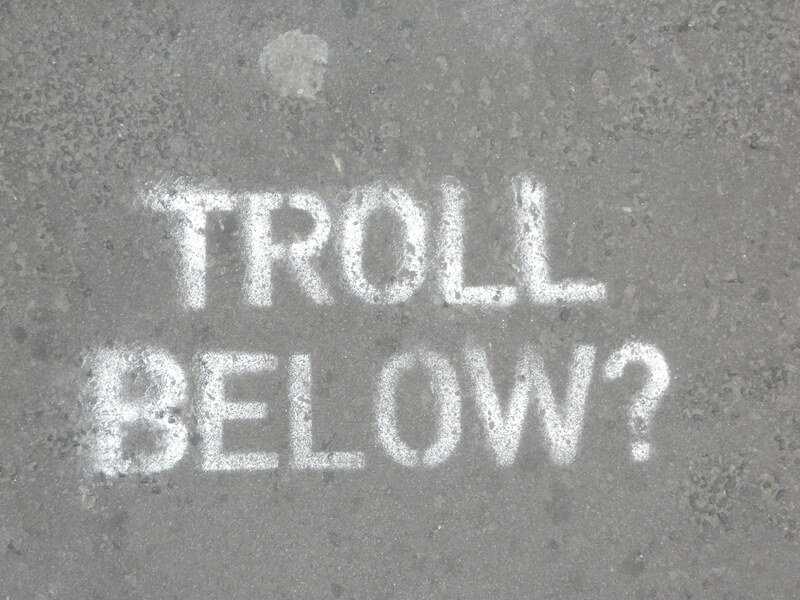 way. She has a heart of gold & a powerfully positive attitude. That’s why the sun shines on and out of Jeanine.